There are multiple ways of buying a property. One of the fastest and probably financially satisfying is an auction. If you are ready to purchase a property and all the searches are carried out, buying a house at an auction will save you time and money, with a lesser risk for the deal to fall through at the last moment. Gazumping is not an auction risk. Buying a house at an auction is usually fast, simple and less complicated. Check your finances and be sure you can cover the deposit and the remaining amount in the stipulated time. The paperwork process is faster, because the seller's solicitor has a prior prepared pack, with details about the title, leases or searches. You can go through the catalogue before participating in the auction, which gives you the opportunity to calculate your budget and even contact the tenants (if the case) for a pre-viewing. If your interest is superficial, you will lose money. Once the hammer falls, the property is yours. If at any point, you decide to withdraw from the transaction, you will lose all the money invested up until that point, such as the deposit. On the other hand, you might invest money in the searches, making sure that the property is worth buying, just to find out that the property was already sold before the auction. Decide on the area you want to purchase in and contact the auction houses. You can go through their auction catalogues and decide which property suits you and your budget best. The catalogue price is never the selling price. Most of the time, the final price for a house sold in an auction is bigger than the value stated in before the auction. An important aspect to remember is that a mortgage offer must be accepted before you go to the auction. If not, you risk losing a 10% deposit and the chance to buy the house. Get as much information about the house as you can and plan a viewing before the auction. If the house is in a bad state, but it has potential, it is a bargain. Like any deal, there are negative and positive aspects when it comes to buying a property in an auction. If you organise your finances, house searches and already read the contracts, the auction is a faster way of purchasing than a classic seller-buyer. However, if you do not consider all the aspects, you might end up losing money, time and the house. Conveyancing is necessary in the UK, being a mandatory legal process – it has to be followed and maintained at all times when buying or selling properties. There are many different types of properties available in the UK that can be bought directly by paying cash or taking a bank loan or taking a mortgage. Lawyers who specialize in property dealing are known as conveyancing solicitors or just solicitors. They are ones who conveyance for properties. Of all the different types of properties available, one is auction property. In the previous article, we discussed the general idea of auction properties and started the discussion on how to buy it. In the following article, we will be analyzing that and present conveyancing for auction properties. Repeating what was said in the previous article, auction properties are properties that have the chance of being a profitable buy. It is a great type of property to buy because auction means there is a lot of competition. Auction property purchase usually takes less time than normal property purchase and the guideline are as follows. After you have shortlisted which property you are interested in, research the property. Do it thoroughly and compare the condition and price of the property to the others in the catalogue. Likewise, you can compare it with properties that are sold by local estate agents. It is worthy to mention that auction property prices are usually lower than general property prices to attract more buyers. Therefore, find the information and understand the actual market value of it. 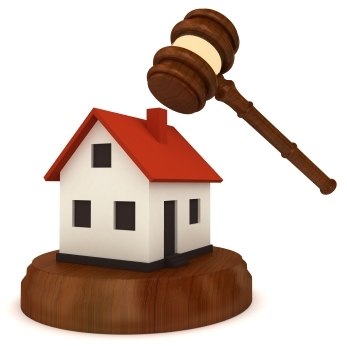 There are legal matters that needs to be looked after when buying a property on auction. The auctioneers usually provide a legal pack which you can read to know the details. If you are confused about anything here, then ask your conveyancing solicitor. Also, the best thing to do is to give this to your solicitor so that they can give you advice that is in your best interests. Afterwards, it is time to make necessary financial arrangements before the auction commences. You should also manage mortgage if you require one to buy the property. Next, be prepared when the time of auction arrives. The process can be overwhelming and so you can discuss this with your solicitor to help you go through it swiftly. Things to do in the auction day is to register and be present early. After bidding starts, you will have to be aware to remember the true value of the property. If bid surpasses that then it is best not to buy that property, if it does not then you should buy it. After the auction is done, a binding contract is concluded. This is the major notable difference between a normal property and an auction property. Usually, when buying normal properties, there is no binding that you will have to buy or sell the property unless there is some sort of contract signed. However, in case of this type of property, when you have won the bidding you must sign the binding contract and buy it afterwards. Your conveyancing solicitor will check the details and help you get through the process easily. Auction bargains do not always mean and ensure that properties will come in cheap. In the previous article we had mentioned that properties are put on auction because they are in very poor condition or they do not have proper legal titles. Therefore, you have to be aware of this at all times during and before the bidding process to ensure that you do not find yourself in any problem afterwards. Property renovation is costly in current times and if the amount which you are paying to buy the property and the amount you will be spending to renovate it together surpass the amount of buying a normal property then it is best to not buy it on auction. Therefore, before going into an auction and bidding, get a pre-auction title report from your conveyancing solicitor and ask them to get a proper building survey done. That way they will be able to ensure that you can buy a good property and be profited. In the UK, Nigel Broadhead Mynard Conveyancing Solicitors do property conveyancing and residential conveyancing. They also deal with auction properties and it is best to check them out if you plan to buy an auction property. Conveyancing is a legal process in the UK. It is a mandatory process that has to be followed and maintained at all times when buying or selling properties in the UK. Lawyers who specialize in property dealing are known as conveyancing solicitors or just solicitors and they are the one who do conveyancing in the UK. There are many different types of properties available in the UK that can be bought directly by paying cash or taking a bank loan or taking a mortgage. Properties can also be taken on lease and such properties are known as leasehold properties. Different types of conveyancing is, thus, available for different types of properties. One variant property is auction property. In the following article, we will be discussing auction properties and give a general idea on it. Auction properties are exciting bunch of properties that have the chance of being a profitable buy. It is a great way to buy properties in auction because it is very competitive. However, auction properties do not mean that you will do a bidding and be done with it. There is more to it than the initial bargain. The basic most idea and advantage of auction property is that the process of buying it is simply much quicker compared to buying a normal property. Thus, it can be said auction property purchase takes less time than normal property purchase. However, bottom line is that it also requires conveyancing but as it is an auction property, so, the process is quicker. How to buy an auction property? The first and foremost thing to do when planning to buy an auction property is to go and find a property auction. Thus, in other words it can be said that you need to locate a property auction. Search your local newspaper ad or ask people around if they know of any property auction in the neighborhood. If you are planning to buy a property in a specific area, then look for an auction in that area to locate a potential auction property. The process of finding an auction property seems quite simple but is it only limited to that? Actually, it is not. After you successfully find an auction property, the most important thing that you need to be aware of is to distinguish if the property is the right property for you or not. Therefore, after successfully location an auction, the next thing is to get a catalogue of it. After getting your hands on the catalogue, spend adequate time studying it properly. This is because you do not want to belong to that specific group of people who turn up at auctions without any prior knowledge about it. A learned person and an aware person who is seriously willing to buy a property must understand this and get proper ideas and knowledge of the properties before turning up for the official auction. There are two ways this will be beneficial for you. Firstly, it will not make you look like a fool and the second thing is that you will know beforehand which property you are surely bidding for. This will help in the sense that it will increase your chances of acquiring that property. After you have selected which property you want, you can contact the auctioneer and then arrange a viewing of it. But it is in your best interest to view the property more than once as you will get more time to check every bits of the property. The reason why properties are given on auction is because either they are in very bad condition or there is a problem to it. So, viewing it multiple times will help. Generally, a time period of four to five weeks is given for properties that are to be sold on auction starting from the catalogue release till the actual auction taking place. Therefore, you will have to be ready to act quick and fast. Conveyancing for auction properties is similar and so you will have to have your solicitor ready and let them know everything regarding the property. In the following article, we will be discussing more on auction properties and shed light on how the conveyancing is to be done. Best quality property conveyancing in the UK is done by Nigel Broadhead Mynard Conveyancing Solicitors who also deal for auction properties. At NBM we are happy to assist you with the conveyancing aspects of buying a property at auction, and indeed, many of our clients buy their properties in just this way. However, there are some pitfalls involved with buying at auction and we find that many sellers use auctions to get rid of “problem” properties to the unwary. To avoid being stung we would suggest that you follow the advice in this article. Contact the auctioneers and request their catalogue. Most auctioneers hold regular auction sales with a catalogue printed some weeks in advance. Catalogues are almost always available online. Go through the catalogue and identify the property or properties you are interested in. Download the legal pack on the property or get the auctioneers to send you a copy of the legal pack. This should contain a copy of the title and official boundary plan, it should also contain copies of any documents referred to in that title. A good auction pack should also contain a recent official local authority search result and a range of other recent searches on the property. You should also look to see that the vendor has provided answers to a pre-contract enquiries questionnaire of some description. If the legal pack does not contain any of these items then we would not recommend that you bid. View any properties you are interested in and take a copy of the official title plan with you to check the position and boundaries of the property match the deeds. Check that the description in the catalogue is accurate. If you can, we would recommend that you have the property inspected by a surveyor at this stage. Research the property thoroughly and ask local estate agents and neighbours for their opinions. Carefully read the special conditions in the auction contract. Many sellers insert provisions into the small print requiring you to pay a large sum towards their “costs”. It is usual practice for the conditions to require you to re-imburse the seller for the costs of the local searches. Watch out for any mention that you will be responsible for paying the seller any arrears of rent or service charges on completion. This often means that the seller’s tenant owes him a large sum of money which the seller will then try and re-coup from you and leave you chasing his tenant for the money. Do not accept a condition where the seller is trying to bring forward the completion date, the standard completion date is 28 days from the auction. Make financial arrangements to ensure you have a 10% deposit ready for payment on auction day, You must pay the full 10% on the day, and have access to the remaining 90% within 28 days. It is usually only advisable to buy at auction if you are a cash purchaser, but if you are trying to buy with a mortgage you must ensure that you have a firm mortgage offer on the table before bidding at the auction. If you successfully bid at the auction and then cannot get the mortgage finance you will end up losing your deposit. Be aware that buying at auction is a binding commitment and carries the same legal implications as exchanging contracts in a private sale. Make sure that if you are buying in joint names that both/all names of the buyers are written on the contract even if they are not all at the auction to sign personally. Take the signed auction contract (usually printed in the back of the catalogue) home with you and hand it over to your solicitor as soon as possible after the auction so that they can complete the legal formalities for you. NBM offer a pre-auction document checking service. This is the best way to ensure that you are not buying a problem title. If you let us have the legal pack before the date of the auction and a payment of £120 we will report to you in full on the legal paperwork before the auction. We always try to do this by e-mail, but where time is short we will do so on the telephone. If you decide not to bid after the advice we have given you our fee for the service is limited to the £120 you have already paid. If you do go ahead and bid successfully then the £120 is carried forward and credited against the fees that we change you for the conveyancing work we do in connection with completing the sale.